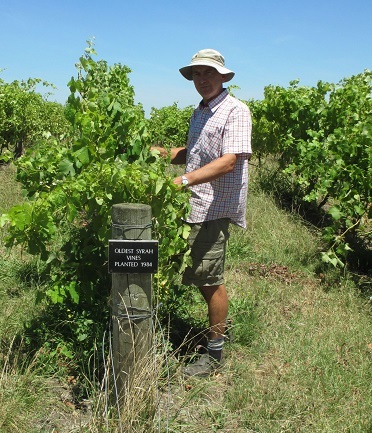 Oldest vines in the Gimblett travels and organically certified. ​2013 Reserve Syrah - Highest rating & Best Syrah reviews ever! 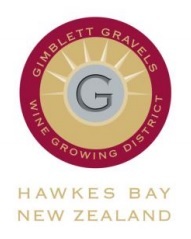 Being one of the first (1982) to plant Syrah on the Gimblett Gravels in Hawke’s Bay, Stonecroft has played a leading role in making this region world famous for stunning cool climate Syrah. Today, their whole range impresses as only vine age and 30 years experience can. Dr Alan Limmer established Stonecroft and progressively established one of the finest reputations in the region. Dermot McCollum and Andria Monin took over in 2010 and have not missed a beat with a number of recent wine reviews receiving even higher accolades - such as the Syrah wines. All wines are made in small quantities and you can taste the hand made quality. If you list/stock NZ wines, then this is one must have brand. Left: Dermot with his Syrah vines - oldest in NZ.